2. This singer and actress died on February 11, six months before the release of what was her last movie. Sparkle, Houston's last film, was released in August 2012. 3. New Year's Eve will be a little less rockin' this year because we won't be celebrating with this celeb, who died in April at the ripe old age of 82. 4. Actor John Ingle succumbed to cancer on September 16. Although the character actor had been in many movies and TV shows, he is probably best known for his longtime role on what soap opera? Ingle played patriarch Edward Quartermaine for 17 years. 5. All of these bands lost a member in 2012 except one - which one? Robin Gibb (The Monkees), Adam Yauch/MCA (The Beastie Boys) and Davy Jones (The Monkees) all died in 2012. 6. This man, who died on October 10 of kidney failure, had quite the varied career. He gained recognition as an NFL defensive tackle, and found newfound popularity post-football as an actor, playing a popular TV dad and a dimwitted thug who is a "pawn in the game of life". Who was he? Karras played George Papadopolis, Webster's adoptive father, in "Webster", as well as thug Mongo in "Blazing Saddles". 7. Producer Richard D. Zanuck passed away in July at the age of 77. Zanuck is credited with giving which highly recognizable director his big break in the 1970s with a blockbuster film? The film in question was none other than "Jaws". 8. This year we said goodbye to composer Marvin Hamlisch, who passed away in August at the age of 68. He had a very distinguished career, including numerous Emmys, Grammys, Oscars and Tonys. He composed the scores to many successful films such as The Way We Were, The Sting, and a James Bond film - which one? 9. Ooh-oooh-ooooh! Two members of Mr. Kotter's Sweathogs died this year - which two? Robert Hegyes (Juan Epstein) and Ron Palillo (Arnold Horshack) both suffered fatal heart attacks this year. 10. This imposing character actor was in many popular films and was a voice actor in many animated films and video games, but he was perhaps most known for his Oscar-nominated role in his breakout film. He died in September, 2 months after slipping into a coma after suffering a heart attack. 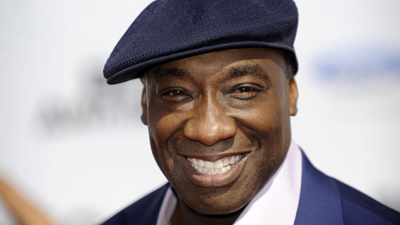 Duncan was nominated for his role as John Coffey in The Green Mile (1999). 11. This comedy giant, who died in August at the age of 95, was not only a movie actor/actress and comedy show host/hostess, but also a voice actor/actress. 12. On June 2nd we bid a fond farewell to the host of this popular TV game show. Richard Dawson was also known for his involvement in The Match Game, as well as for a role on Hogan's Heroes. 13. This member of prime-time soap Dallas's Ewing family died in November after a battle with cancer. 14. Despite a successful career in Broadway and film, Jack Klugman, who died on Christmas Eve at the age of 90, may be best known for his role as one half of which TV duo? 15. We also lost another actor on Christmas Eve. This highly decorated WWII veteran became a highly successful character actor. He had roles in over 200 films and TV shows during his lifetime, including Dog Day Afternoon, The Sting, O Brother Where Art Thou?, Death of a Salesman and Best Little Whorehouse in Texas. Who was he? 16. We said goodbye to this TV dad in July. Andy Griffith died on July 3 at the age of 86. 17. We have this late screenwriter, producer and director to thank for advancing Meg Ryan's career with vehicles When Harry Met Sally, Sleepless in Seattle, You've Got Mail and Hanging Up. 18. The director of movies such as Top Gun, Days of Thunder, True Romance and Unstoppable died when he jumped off LA's Vincent Thomas Bridge in August. Who was he? 19. This late actor had quite the career, winning an Oscar for Best Actor for his role in "Marty", starring in a popular TV show as Admiral Quinton McHale, and finding popularity with a younger crowd as the voice of Mermaid Man in SpongeBob SquarePants. Who was he? 20. We bid a fond farewell to this actor, who moved on up to a deluxe apartment in the sky on July 24 after a battle with lung cancer.